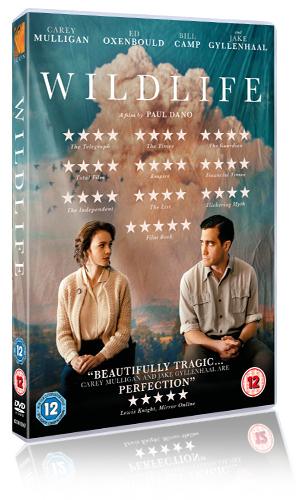 To celebrate the DVD and Blu-ray release of WILDLIFE on March 18, The Fan Carpet are giving you the chance to win a copy of the film on DVD! One lucky winner will also receive a copy of the book! Paul Dano (Love & Mercy; There Will Be Blood) makes his outstanding directorial debut with WILDLIFE, a gripping 1960s drama surrounding a struggling family’s dedication to provide for one another, and the tenacity of the human spirit. This handsomely made small-town story is available for digital download on 11 March 2019, or out on Blu-ray™ and DVD on 18 March 2019, courtesy of ICON FILM DISTRIBUTION. Zoe Kazan wrote WILDLIFE, but what did she also write? © 2019 Icon Film Distribution. All rights reserved. Competition closes on April 18th 2019.